We have partnered with One Schoolhouse to offer the opportunity for students to take classes online. Various online classes include AP Psychology, AP Art History, AP Calculus BC, AP Computer Science Principles, AP Computer Science and AP Statistics. Click on each subject for details. U.S. History students blog with international students also studying U.S. History from TASIS Lugano. Students lead monthly discussions on the blog providing perspectives, insights and ideas that connect current events to issues from a specific period in American history. Students are given international perspective on American politics and its history. The student-run, student-written newspaper produces four issues each year. The newspaper focuses on in-depth pieces about student life, new teachers, popular culture and other issues that are pressing to the student community. Read the latest edition. Pegasus is our school’s literary magazine that is published once a year in print form. Like The Palette, the magazine is student-run and student-written. Art and literary contributions come directly from students and faculty. Senior English classes are varied and include AP Language and Composition, AP Literature and Composition, World Beat: African Literature, Studies in Genre: Memoir, British Literature, California Dreamin’: The Literature of California and Murder and Mayhem: The Villain in Literature. These courses are offered through the process of “English IV Selectives” where students complete a questionnaire to express their interests before senior year. The selectives give the student a rare opportunity to delve into the depths of literature and the nature of such topics as character struggles in relation to race, gender, religion or understand through British literature and how during a time in literature, the purpose was to politically indoctrinate others. View the complete English course list and course descriptions. Oral History Project: Students interview longtime San Diego residents who can speak to some of the changes the city has seen over the years. In the process, they learn about the person’s history and their story. The oral history projects include a short video and are presented at the San Diego History Center. Students learn how to write compelling questions, conduct an interview, research, record and edit video, write and give a short speech.  La Jolla Country Day School has a partnership with the City Club of San Diego to give students access to speakers including Mayor of San Diego Kevin Faulconer, Congresswoman Susan Davis, Former Governor of Massachusetts Michael Dukakis and Dr. Harlan Ullman of the Atlantic Council. U.S. History students blog with international students also studying U.S. History from TASIS Lugano . Students lead monthly discussions on the blog providing perspectives, insights and ideas that connect current events to issues from a specific period in American history. Students are given international perspective on American politics and its history. Students in economics class participate in the National Stock Market Game competition. In groups of four to five, students received $100,000 to invest with rules similar to real stock trading. They compete against teams around the country in several contests and prepare in class presentations explaining their investment strategies. Students are introduced to a variety of investment vehicles and strategies. They follow the impact of economic and political developments on the market and assess their risk tolerance. The U.S. History class uses tournament brackets to set up questions such as who is the most courageous American of all time? ; Which woman should appear on the redesigned $10 bill? ; Who is the greatest American president of all time? ; Which non-presidential historical figure is the most important in U.S. history? Students in AP Euro produce music videos from conception to completion to tell the tales of the Age of Religious Wars in Europe. Inspired by this project, AP European created a video to teach classmates about bread marches during the French Revolution. Mission 22 Project: After studying the 21 California missions, teams of fourth grade students design and propose the building of the 22nd mission to a “Spanish Royal Court” made up of the AP World History students, who in turn, challenge the fourth graders with questions about the mission blueprints and access to resources. A successful proposal earns the royal court’s “Seal of Approval” for a thumbs-up on future construction. California Legislature Simulation: In a four-day collaboration, the AP Government class serves as the presiding officers of a California State Assembly and Senate legislators (made up of fourth graders). Together, they write bills for hearings in committee, debates on the house floor and votes on passage. This project directly precedes the fourth-grade trip to Sacramento where the students visit the state capitol building. Now in its sixth season, Torrey Mock Trial has become one of the premiere mock trial programs of San Diego, finishing second in the county championship in 2015 in one of the closest matches on record. Provided with nothing but witness statements and the facts of the case, the team takes on the role of attorneys and witnesses to prepare a series of arguments and convincing acting performances to either convict or acquit the defendant. View the complete history course list and course descriptions. Along with learning mathematical procedures and using Desmos and GeoGebra for function transformations, our students are presented with special projects which make for some exciting additions to the curriculum. Some students get to move forward in time and age to be 25-years-old and graduated from college. The project has them put together a budget using Excel worksheets to account for all their expenses including finding a home, calculating their mortgage, deciding whether to buy or lease a car along with calculating the necessary retirement monthly savings as well as a learning how to do taxes. Deal or No Deal? Students create strategy for playing, Deal or No Deal from the old NBC program, that defines for a player how to determine whether to accept the deal that the banker offers after each round of play. Once the strategies are complete, other teachers join classes to play the game. Teachers are provided strategies created by students and must play according to those strategies. Honors and AP students participate in the six California Math League (CAML) contests each year as well as the American Mathematics Competition (AMC) with one to three students usually advancing to the American Invitational Mathematics Examination. We also have students self-select to participate in the San Diego Honors Math Contest at UCSD. In 2015, our small team of three students placed first in the Novice Division and 11th overall. View the complete math course list and course descriptions. Project-based robotics class serves as an introduction to computer programming. Students develop creativity and technological acumen through the process of building, programming and operating robots designed to perform specific tasks. For the past several years, La Jolla Country Day School has hosted the qualifying tournaments for the FIRST FTC Competition. After studying introduction to vision in neuroscience, students in groups of two or three select one of the following topics to design a controlled experiment: the Distribution of Rods and Cones in the Retina; Edge Detection by On-Center-Off-Surround Cells; Simple Cells of the Primary Visual Cortex; or Complex Cells of the Visual Cortex. Learn more. Each year, students in the marine biology class visit La Jolla Cove for a snorkeling expedition to deepen their knowledge and appreciation for marine wildlife. They study and see marine state fish (the bright orange Garibaldi), as well as spiny lobsters, abalone and sea lions. Several classes reduce or eliminate the use of paper by using screencasts for homework, online textbooks and blog posting for assignments. View the complete science course list and course descriptions. AP and Honors literature courses are available for advanced students. Language and culture immersion through the cinematic experience allows students to see through the lens of another. Some of our experiences involve learning culture through food. Our students have learned to cook paella, dumplings and even crêpes. Field trips to international markets and restaurants also give students the opportunity to learn more about a culture. Connecting students to people in other countries with technology as a tool puts students using tools they are already familiar with. For the trip to China, students have a pen pal component that uses email because of the time difference. Skype is used to connect to other people closer to our time zone. An app used most often for students is WeSpeke which matches a learner with a native speaker and allows students to text and video chat to further language goals. View the complete world language course list and course descriptions.